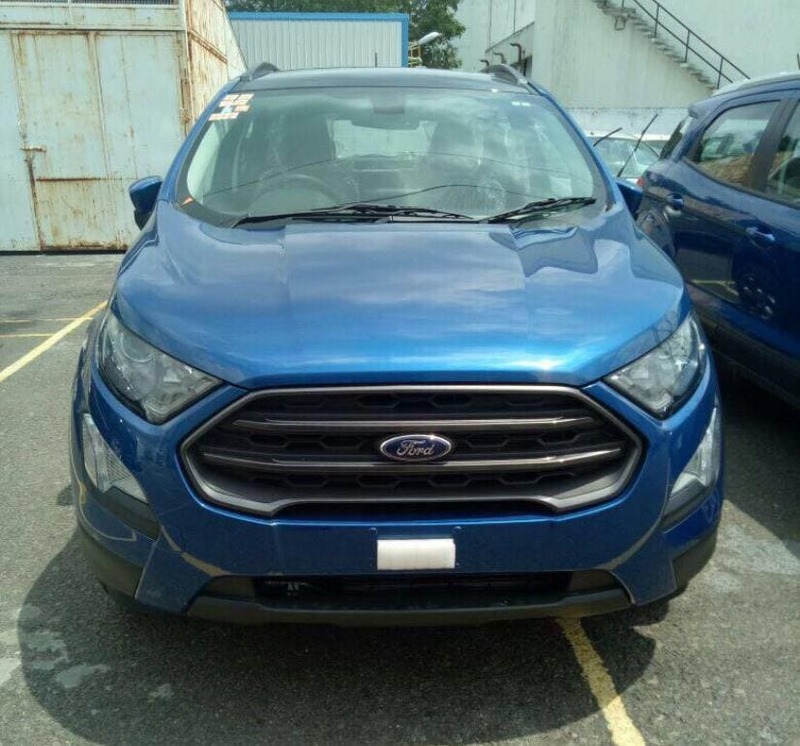 The Ford EcoSport facelift is expected to be launched later this year and judging by these images the car will come with a sports version as well. The Titanium S trim will be powered by the 1.5-litre TDCi diesel engine that makes about 99 bhp. A couple of production-ready units of the 2017 Ford EcoSport facelift were recently spotted in India ahead of the subcompact SUV's official unveil on October 29. 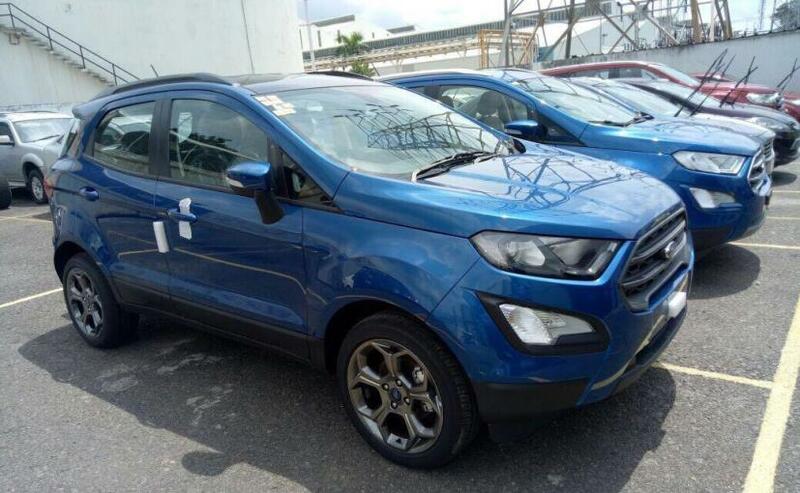 Expected to go on sale in the country by November this year, these updated EcoSport models were seen at what appears to be a stockyard. Interestingly, one of the cars was seen with a new 'Titanium S' badging, with the S suffix possibly indication a sports edition. The TDCi engine badging at the rear indicates that the Titanium S trim will get the tried and tested 99 bhp, 1.5-litre diesel engine that already does duty on the outgoing model. This is similar to the Figo S and Aspire S models that the company launched in India early this year. The EcoSport Facelift is also due to get the new 1.5-litre Dragon engine. The new 2017 Ford EcoSport Titanium S model is likely to be slotted above the standard Titanium variant. It is still unclear whether the company will launch it alongside the facelift or on a later date. To go with the 'S' suffix, the model also comes with a host of updates compared to the standard facelifted EcoSport, which is seen standing beside it. The changes are mostly cosmetic with a lot of black elements like - the darker grille, smoked projector headlamps with LED daytime running lights, black cladding surrounds for the foglams, and black roof rails. The most prominent change, however, is the sporty set of alloy wheels that add a whole new character to the SUV. 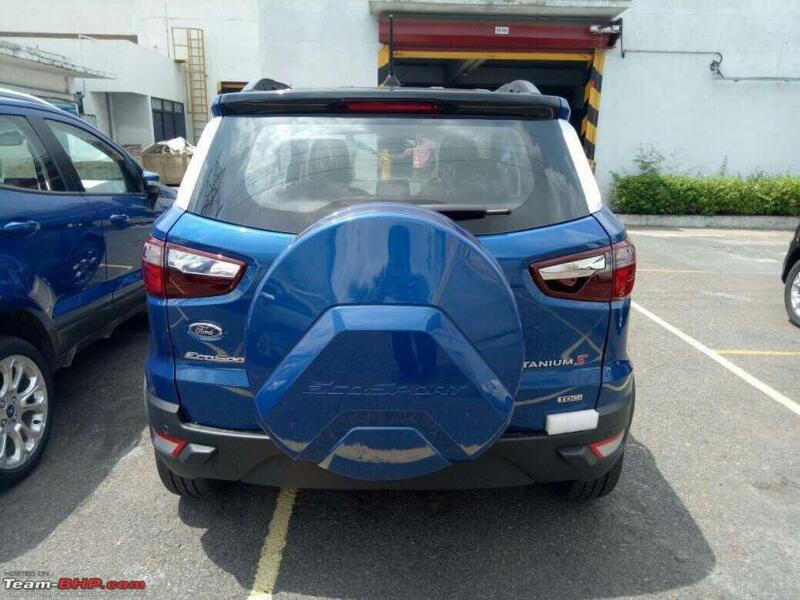 Like the standard version of the upcoming Ford EcoSport Facelift, the Titanium S model also gets the new wheel cover with 'EcoSport' engraved on it for the tailgate-mounted spare wheel. Along with it, the car also comes with a larger rear spoiler and new front and rear bumper with black plastic body cladding. 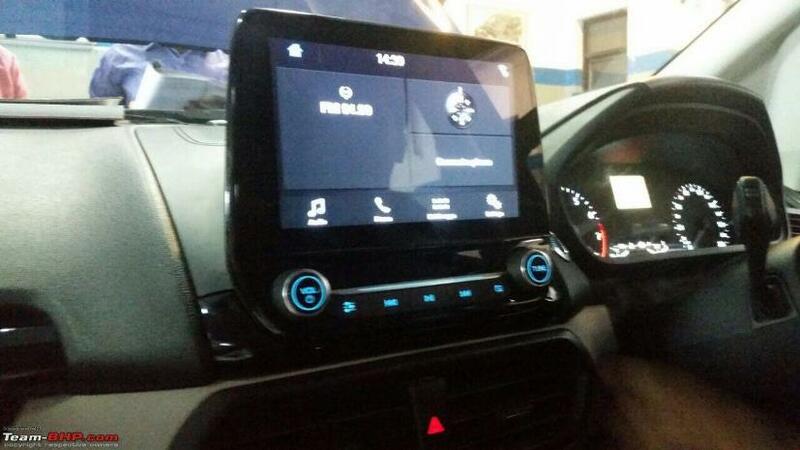 Rest of the updates are quite similar to the EcoSport facelift, including the new interior and the large touchscreen infotainment system, which will come with Apple CarPlay, Android Auto and of course Ford's in-car connectivity system SYNC3. As for other engine options, the updated Ford EcoSport will also get the company's new 1.5-litre three-cylinder petrol engine, which is also called as the Dragon. The new Ti-VCT (Twin Independent Variable Camshaft Timing) naturally aspirated motor is capable of churning out a good 120 bhp and 150 Nm of peak torque. The engine will also be used for the export-spec EcoSport. 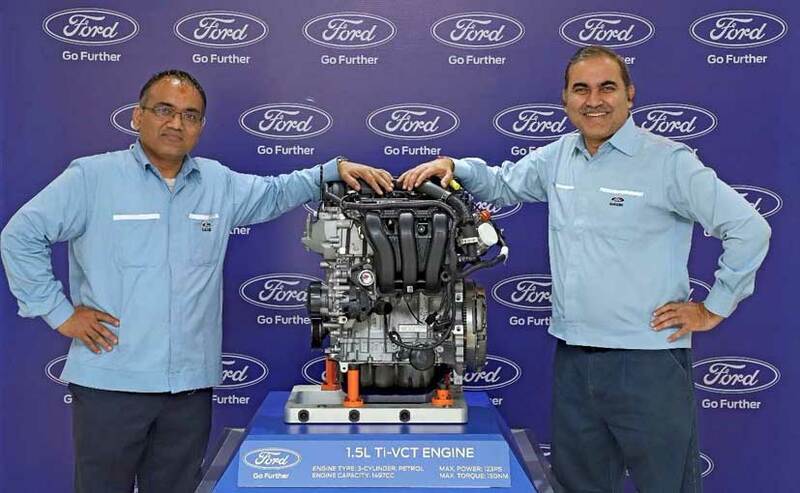 And in addition to that Ford India will also continue to offer the popular 1.0-litre EcoBoost engine. While it's still unclear when exactly the company will launch the update Ford EcoSport in India this year, dealers expect the car to arrive before year-end. Bookings for the 2017 Ford EcoSport facelift is also expected to start possibly around Diwali and some of the Ford dealers we spoke to have also told us something similar. Upon launch, the EcoSport will be more than equipped to rival the likes of the Maruti Suzuki Vitara Brezza, Tata Nexon, and Mahindra TUV300, among other sub-4 metre SUVs in the market.